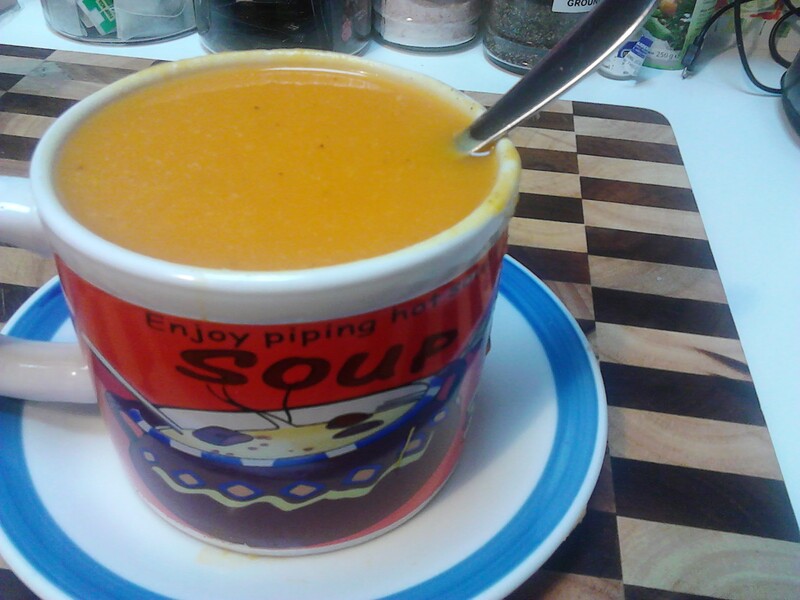 This is a very light and comforting sweet potato soup with a chicken broth base. It was really quick to make as the broth was in the freezer and was ready within a couple of hours. The recipe for making the broth is in another post on the website but home made broth is best and you will be rewarded with a lovely flavour and lots of added nutrients. In a medium sized saucepan l placed the stock (about 3 cups), 2 medium to large peeled and chopped sweet potatoes, 1 cup of diced pumpkin, 1 cup of diced cauliflower and 2 diced carrots. I brought this to the boil and then let it simmer for a couple of hours. 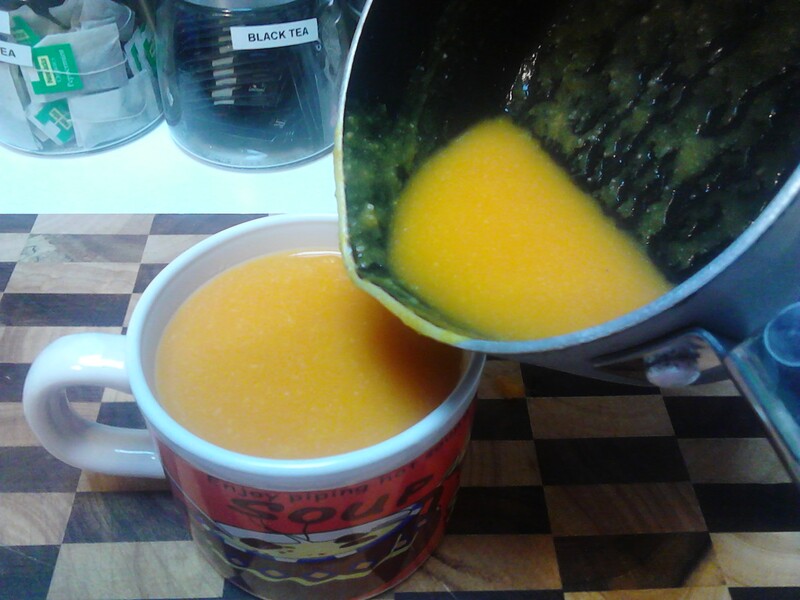 I blended the hot soup in the pot with my hand blender and served. I like to season my soup at the table and l used ground black pepper and sea salt which really brought out the flavours in the soup. Avoid using the microwave oven to heat food. 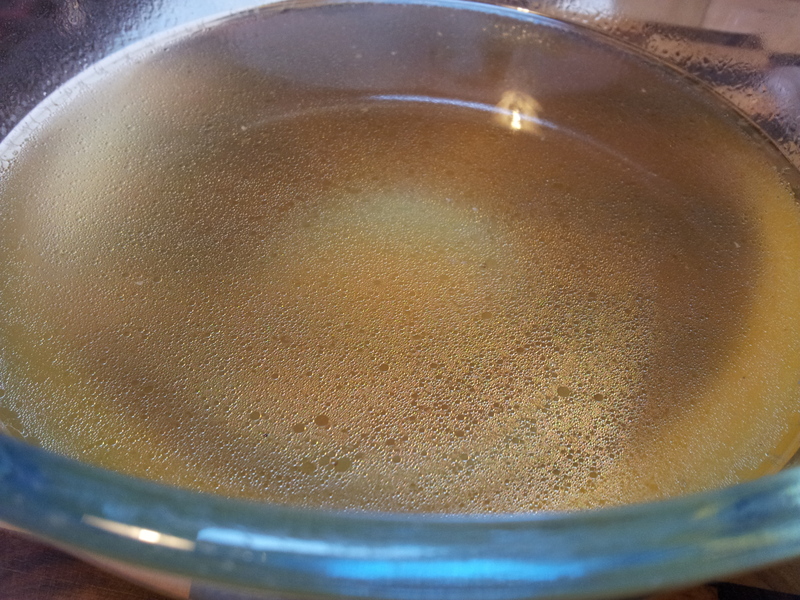 When reheating the soup the next day l use a saucepan which only takes a couple of minutes. As soon as it gets to the boil reduce the heat and let it simmer for about a minute and it will be delicious. I am on a healing and wellness diet and don’t cook or heat any food in the microwave oven as l believe it damages the structure of the food and reduces the vitamin and mineral content. I wasn’t feeling well from a Winter virus when l made this soup and it is just the right consistency for a delicate stomach to handle. It is both soothing and comforting with a lovely flavour.